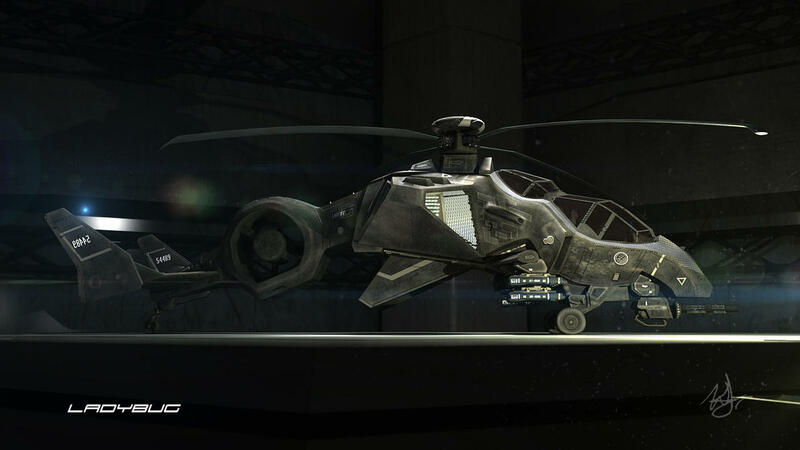 The Virisian Military is considered to be well equipped with some of the most advanced weapons and tools in the world. These renovations, based off of the old GSA technology, started but only a few years ago, and already much of the military has been overhauled and seen innovations beyond that of what they were previously equipped with. Here, I'll list a full rundown of these innovations, as well as include a character list both inside and outside the military. Hopefully this will be a useful read for anyone, provided I finish this list. Just to note, for some of these I might comment, others, I simply won't. And if I get the type of ammo wrong, I don't really care. I'm not a big fan of guns, I just want this all laid out nicely. Tell me if I get it wrong, but don't make a big deal of it, I'm certainly not going to. A machine pistol favored by some military branches and police forces, but not nearly all. It is renowned for its accuracy, however. A micro-machine gun designed as a sidearm, it is sadly ineffective at medium or longer ranges of combat. One of two standard infantry sidearms. The second standard infantry sidearm. A standardized pistol that has found its way out of the military and in the hands of the extensively large police force of the Virisian Nation. *Also, I have no idea what the bullet in the image is, so I guess. A very specialized and rare sidearm that utilizes very expensive ammunition. Mid-rank and higher officers are usually the ones that favor these sidearms over the others. *And I'm betting it's a .357 of some sort, but I'm not going to even try to guess. A semi-automatic sniper rifle that is primarily used in the Virisian Special Forces division, it is highly accurate and specially crafted for silent fire, with special ammunition that has multiple variations. Ranging from armor-piercing to small, electro-magnetic rounds, the rifle can quickly be an expensive endeavour. Thus it is only given to trained veteran snipers. The standard assault rifle given to infantry of all branches, the SCAR is valued for its reliability and high-customizability, capable of being modified in a number of ways. The SCAR Sabot rounds, while smaller than most ammunition used by assault rifles, offer increased ammo-piercing capabilities and storage capacity with little to no effect on combat effectiveness. A compact carbine variant of the SCAR, this rifle design seeks to increase the combat capabilities of the SCAR without sacrificing some of its greater advantages. 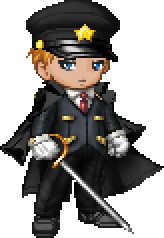 This version is often found to be used in the police force, not just on the front lines. An assault rifle with two different firing settings, it is all-around effective at most combat ranges, and it is nearly as customizable as the SCAR. It appears to be favored by the special forces as a mid-range sniper rifle, and the regular armed forces as an effective battle rifle. A lighter assault rifle than the SCAR, the Auturn is a potent runner-up to the SCAR, and is often used in the police force alongside the SCARAB. It is favored by the Special Forces division for its reliability in adverse weather conditions. While not as advanced as the Telum, the Aeria has its own advantages in that it is far more easily repaired and constructed, making it much more affordable. Therefore, it is often used outside of the Special Forces division, and aside from the special ammunition types for the Telum, the two rifles have a similar damaging effect. An older rifle design that has been constantly rebuilt and redesigned, the most recent Corvus Gauss Rifle is a very effective, long-range anti-armor rifle that doubles as an effective sniper rifle if the need arises. 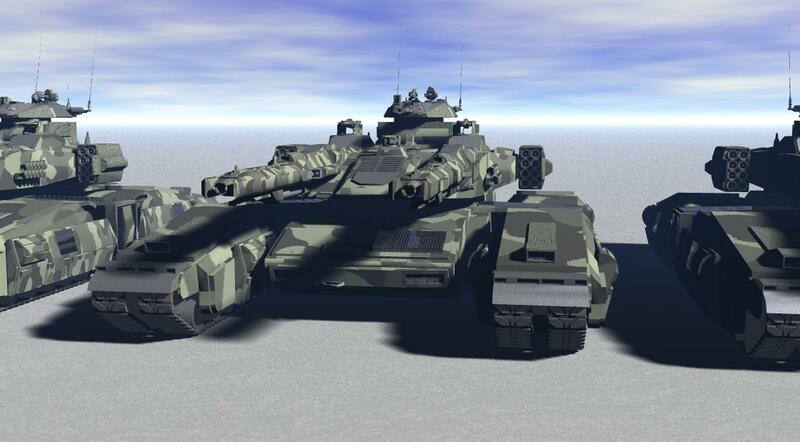 Its incredible destructive capabilities are limited by its ammo capacity. A shoulder-mounted, laser-guided anti-tank weapon. A multi-barrel heavy minigun that sports an astounding fire rate and ammo capacity, but is incredibly heavy. It is often featured on lighter vehicles and walkers, but can sometimes be used as a turret. There are a multitude of Virisian armor set-ups to list here, and some might be too heavy for normal soldiers to wear. I may skip details, largely because I won't go into enormous detail on everything here. A more advanced armor that utilizes a number of bullet-resistant, lightweight fibers in its construction, such as a Twaron under vest, the Dragon Skin ballistic vest, and additional weather resistant fibers to fulfill a multitude of tasks and offer protection. With the SIBU comes an Combat Analysis and Tracking System (CATS), which assists in accurate aiming, environmental analysis, target tracking, communicating with other CATS, multi-spectrum vision, and other various tasks. These armors can be added onto and customized with ease, with there existing multiple variants with different compositions for the most extreme environments. A somewhat older armor variant with a CATS package installed into the combat helmet, it provides a thicker armor for more advanced protection in protracted, heated firefights. It is often used by more advanced police forces as well, for dealing with insurrectionist movements. It suffers only in its lack of customization options, and therefore has a limited use in extreme climates, as well as its weight being greater than that of the SIBU. An advanced, light combat armor that is built for extreme weather conditions and comes equipped with a more advanced CATS package that is often specifically calibrated to operatives before deployment. The SOBA also comes equipped with a R-019-b PAO Personal Stealth System, which is integrated into the armor itself via the hex-shaped cells seen in the image above. When activated, each hex projects an image derived from the large number of small sensors, creating an optical camouflage for the wielder. The ADEA-v1 experimental exoskeletal armor graft is a suit that allows a wielder to equip and move more freely in far heavier, more protective armors with relative ease. It has seen limited combat use, in no small part due to its obvious flaws, and is usually seen in tasks that require heavy lifting, as it amplifies the users strength significantly. Due to its nature as an experiment more than a practical armor, the ADEA-v1 does not come equipped with standard armor requirements, such as a CATS package, and it also has a limited power capacity. A second generation armor from the ADEA project, this is the desired outcome from the project to create a heavy, powered armor suit for use in heavy combat situations. The ADEA-v2 comes equipped with internal movement servomotors, CATS package, and high-density, weather-resistant armor designed to withstand heavy firepower. 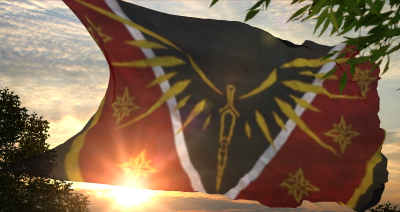 Due to its great expense, the Virisian Military very rarely fields soldiers utilizing the ADEA-v2, except for situations which call for its use, and in which exist such dire circumstances that normal equipped soldiers would be unable to succeed at the operation. The F-15E Strike Eagle multirole fightercraft is a much older, mainline aircraft for the Virisians that was used during the time of the UAN. While frequently updated and upgraded, with the latest model being the F-15E you see here, the generation has since been discontinued in favor of the CFA-44 series and the F-21 Warhawk. However, the F-15E is still respected for having the best missile capacity and versatility in its design so as to remain relevant even long past being considered outdated. Capable of integrating even most modern weaponry and systems, its primary drawback is its ineficient and ultimately slower engine and powerplant, where it is much slower than most modern aircraft today. Currently, it is freely liscensed to other countries seeking an effective multirole fighter jet that is only now starting to show its age. Before the cooperative development program that brought the CFA-44 series to the Virisian Air Force, the need for an updated multirole fighter craft was still needing addressed. With the F-15E showing its clear age, it was time for a remodel. The F-21 Warhawk is the end result. A powerful fighter plane, the F-21 Warhawk features improved speeds, armament, and manuverability over the F-15, with STOL capabilities to make it an effective carrier fighter. With the added feature of wings that could fold into itself for increased agility at high speeds and sudden manuvers, the placement of missiles came into question. Missiles were placed on the underside, and could be hidden into the chasis to be deployed as necessary. Following the development of the CFA-44 and its unique weaponry, the ADMM and the EML, smaller variants were developed to be fit onto the F-21. As a result, the F-21 is capable of carrying twin ADMM pods on top with an effective capacity for four barrages before being expended. Alternatively, it can be fit with a singular Electromagnetic Launcher on its top, giving it an incredibly powerful railgun weapon for anti-armor and anti-air purposes. 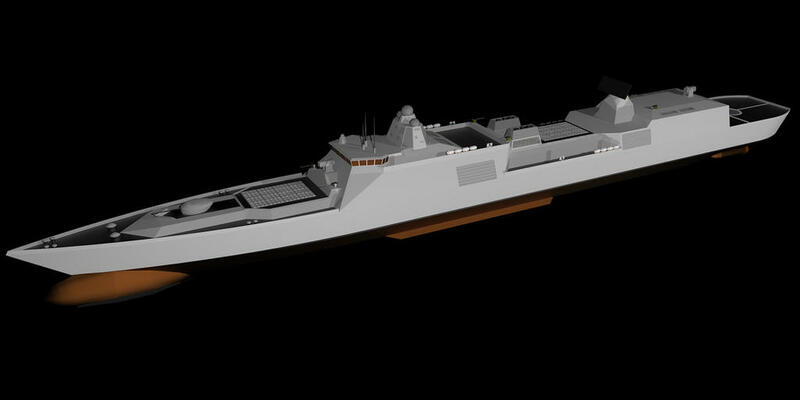 All told, it is an effective rival to the CFA-44 generation of fightercraft, respected for its versatility in combat. 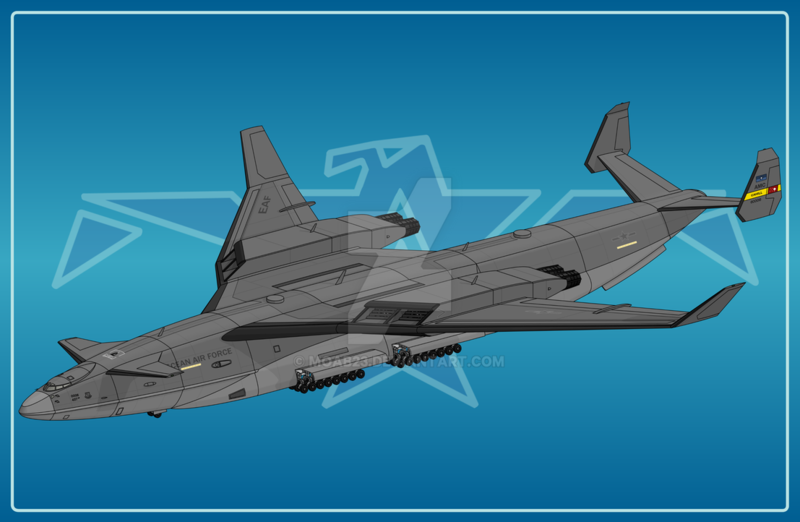 The CFA-44A Blackthorn is a fighter design co-developed with the Rufetic Federation Aeronautics Arm. 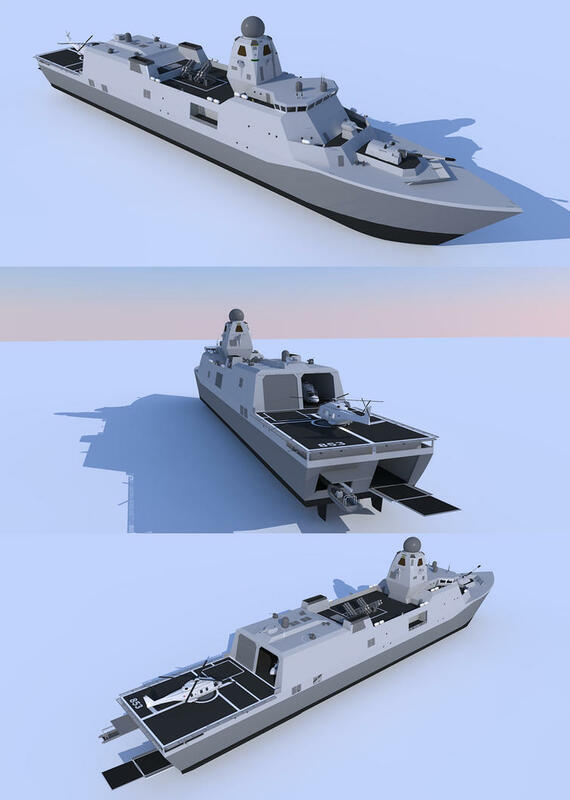 The project led to a number of innovations, including the ADMM and the EML, though the designs and variations produced are different for either country. From the project, five variations were created for the Virisians, compared to the RFAA's three. This variant is a standard multirole aircraft, equipped with High-Velocity Air-to-Air and Advanced Air-to-Ground Missiles. 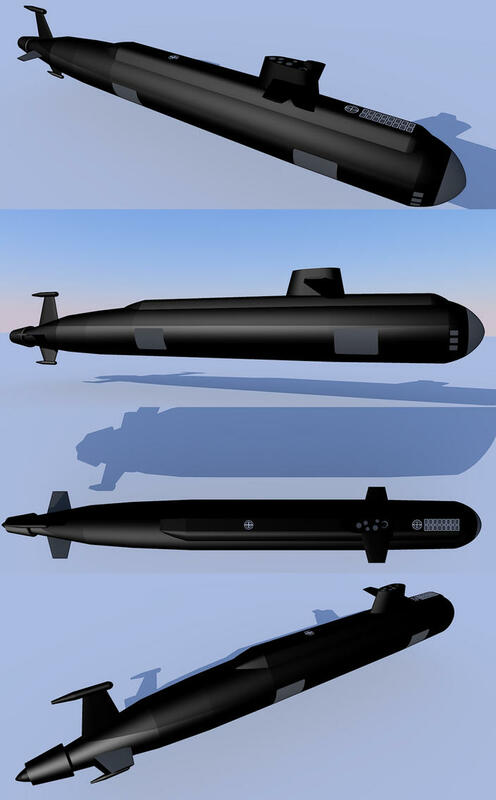 Some armaments also call for three Air-to-Everything All-Directions Multi-Purpose Missile Pods, which allow for an effective payload of firepower, with the pods capable of unleashing upwards to ten barrages before being expended. 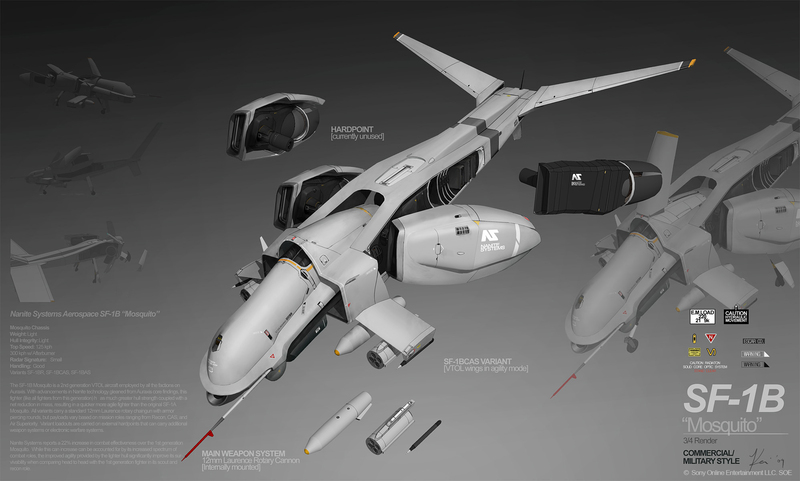 Alongside its more advanced engine design, and its Advanced Electronic Countermeasure Suite, it is an effective Carrier Fighter design for the Virisian military. The CFA-44B Rosethorn is a variation of the CFA-44 series that is equipped with air-to-ground capabilities in mind. 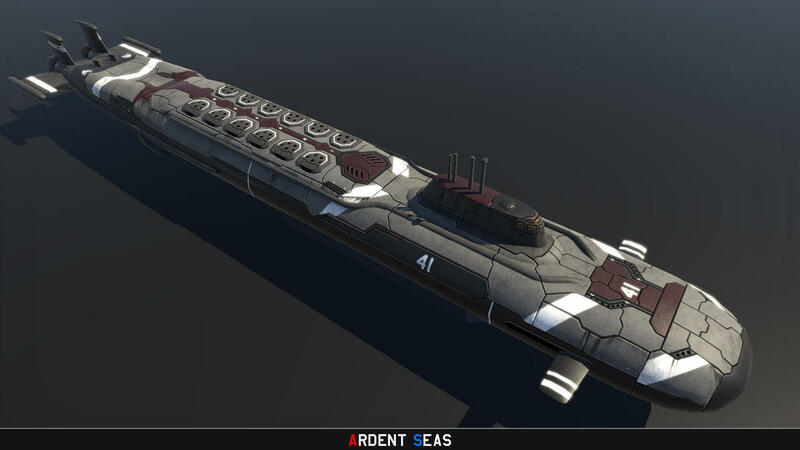 To that end, additional rocket stations were added underneath the wings, as the Rosethorn comes equipped with the largest missile armament yet for Virisian fighter aircraft. 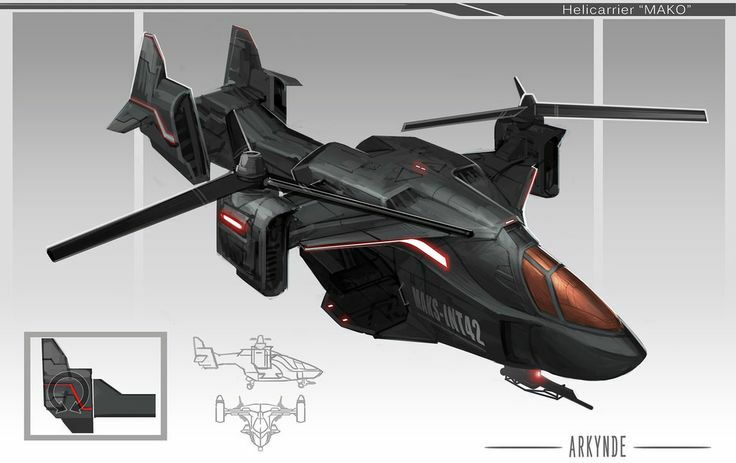 It comes equipped with two Multi-Purpose Burst Missiles, two Ares Incendiary Burst Missiles, and four Advanced Air-to-Ground Missiles, and a bomb bay with an impressive capacity. Coupled with its Advanced Electromagnetic Countermeasure Suite, still rather impressive speed, and its 30mm Autocannon, it is well-equipped enough to deliver devastating strike runs against enemy fortifications and ground units. However, at full capacity, due to its sheer weight, the Rosethorn is considerably slower than most other aircraft, and its manuverability is hampered as well. For its devastating firepower, it sacrifices a great deal in speed. The CFA-44C is a more experimental aircraft outfitted with an upgraded engine design, twin railgun pods, a full load of missiles, and generally suited for anti-aircraft and interception roles. 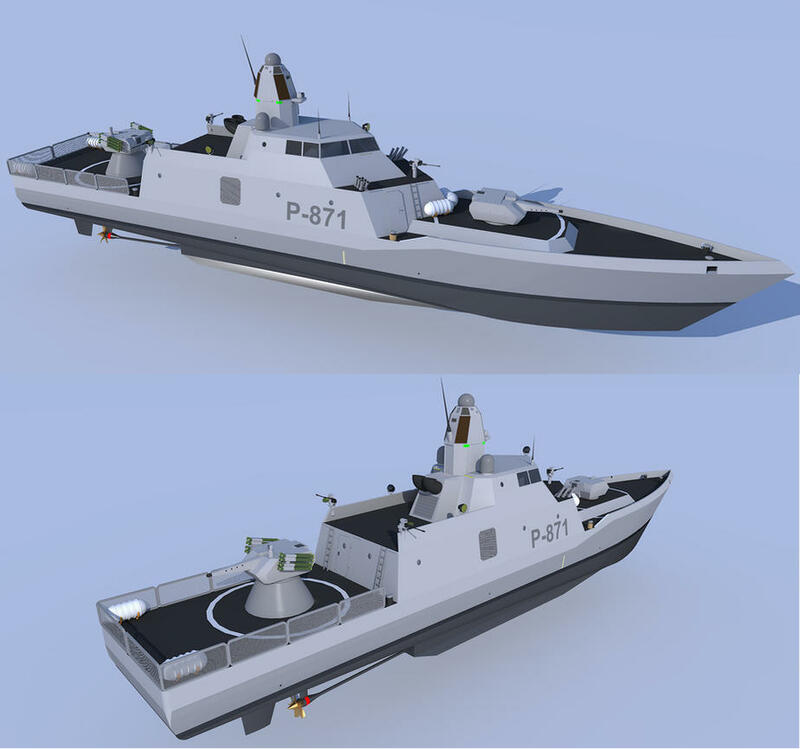 Its weight is counteracted with the increased engine and energy output, making it one of the fastest CFA-44 variants made yet. It is armed with four standard High-Velocity Air-to-Air missiles and two Orion Multi-target Spread Missiles, which are designed to target three enemy aircraft, fire, spread out, and then eliminate. 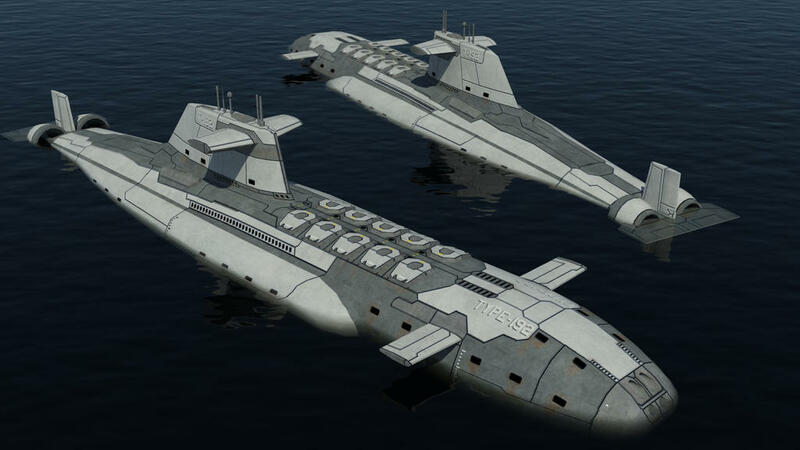 They are the precursor to the MTSM-3F's on board the more advanced Delphinus. These missiles combined with the railgun pods allow for a stunning accuracy, and a limited air-to-ground capability, though the front gun had to be removed due to excess weight and performance issues. 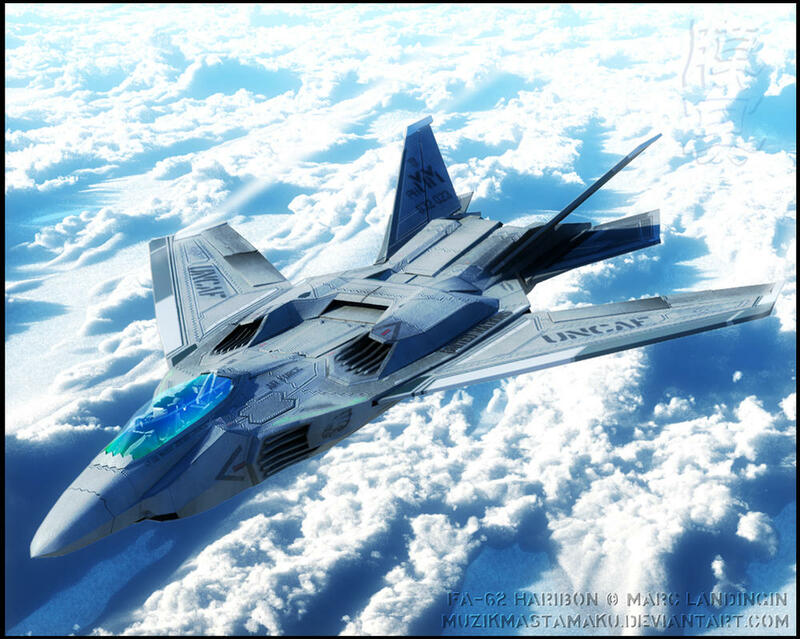 A heavy CFA-44 fighter variant designed for incredible air-to-air combat. 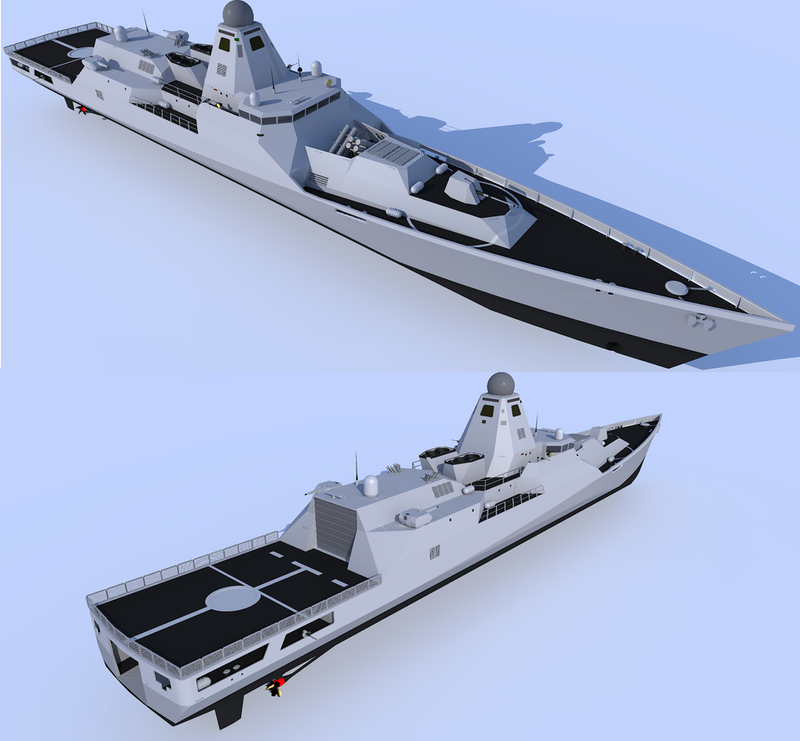 The Redthorn comes equipped with four High-Velocity Air-to-Air missiles, two Multi-Target Spread Missiles, and three Air-to-Air All-Directed Multi-Purpose Missile Pods, with fifteen potential payloads before being expended. The overall armament, while making the Redthorn somewhat slow in comparison to the Blackthorn, makes it an incredibly lethal combatant when facing enemy aircraft, capable of targeting and eliminating multiple opponents within a single volley. The original test bed for an advanced Stealth Fighter, the CFA-44XE is the precursor to the Delphinus design. This Blackrose experimental fighter comes equipped with a Phased-Array-Optics stealth device, capable of generating a form of active camoflage around the fighter in combat, and an Electronic Warfare Suite to disrupt enemy sensors and communications. 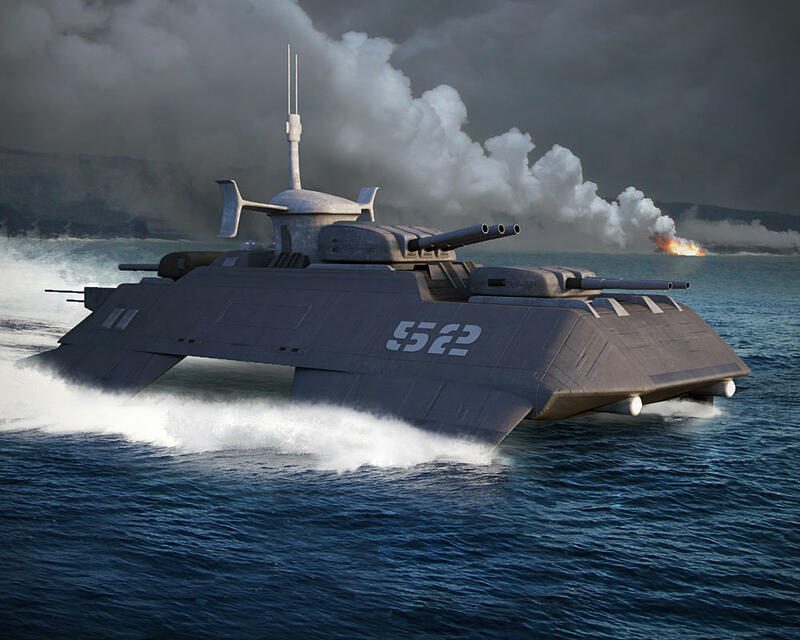 It also comes equipped with four Multi-Target Spread Missiles and two High-Velocity Air-to-Air Missiles. It is also designed with a much more advanced engine design and powerplant, allowing for far greater speeds than most of the CFA-44 variants are capable of, making it the second fastest aircraft in the Virisian Aeronautics Division. The ADFX-03 Archon is a forward swept wing experimental aircraft that is not yet widely distributed, but in which around four dozen are currently in supply. It is the first recorded attempt at utilizing directed-energy weapons on a smaller scale than the Obelisk defense system, and also the first recorded success in such endeavors. 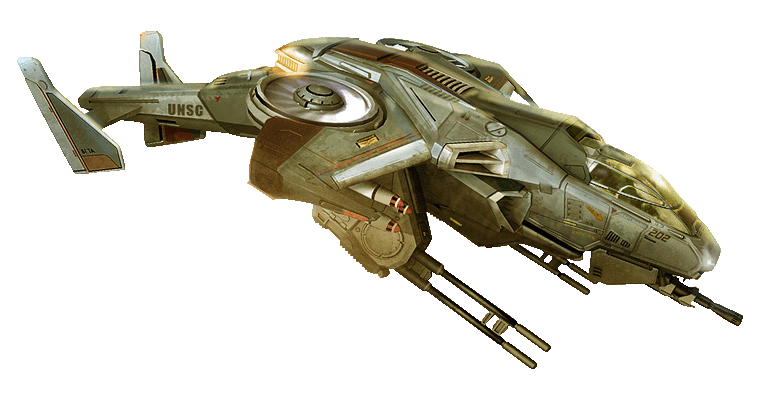 The Archon is, while slower than even the F-15E, more powerful due to the experimental laser and multi-purpose burst missiles that it carries. The laser mounted on the back is linked to a pivoting joint and is powerful enough to slice through dense aircraft armor, making it an effective counter to armored targets. 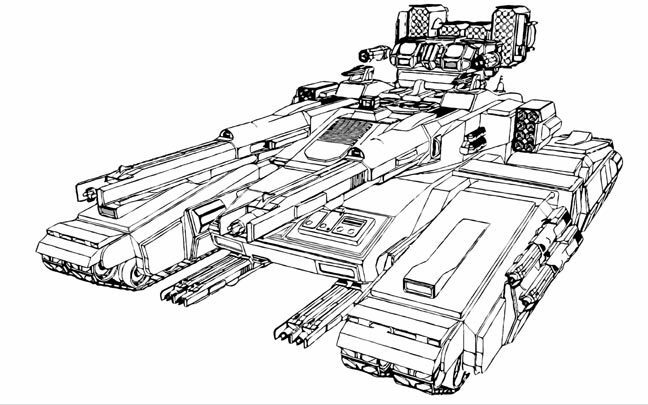 It lastly comes equipped with ECM systems to counteract enemy missiles, and its armor is heavier than most aircraft, making it a durable, persistent combatant. 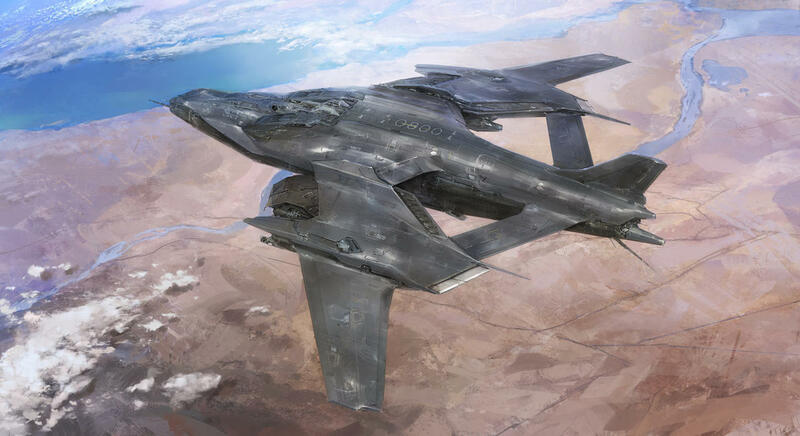 The Delphinus is the first of a generation of a planned series of state-of-the-art stealthed air superiority fighters. It is the first craft to successfully power and utilize the Phased-Array Optics Stealth System in a reliable manner, as well as the first aircraft to successfully utilize the COFFIN (COnnection For Flight INterface) system, an advanced control system which links the user directly to the aircraft for more advanced reactions and piloting while not being present in the aircraft's cockpit. 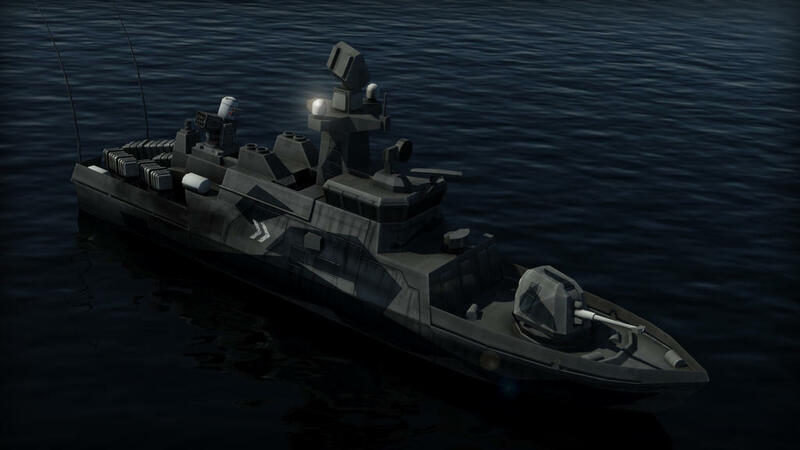 The Delphinus comes equipped with Multi-Target Spread Missiles, which are designed with smaller missiles that break off to engage a number of different targets, as well as two High-Velocity Air-to-Air missiles and a five-barrelled 25mm autocannon. Its armament, speed, agility, stealth system, and advanced piloting capability make it one of the most lethal, and expensive, aircraft to date. *Image leads to original designer. Minor changes were made from base in provided image. A controversial design by nature, the Gestalt represents the Virisian's firepower and technological prowess, all in one ship design to overpower them all. 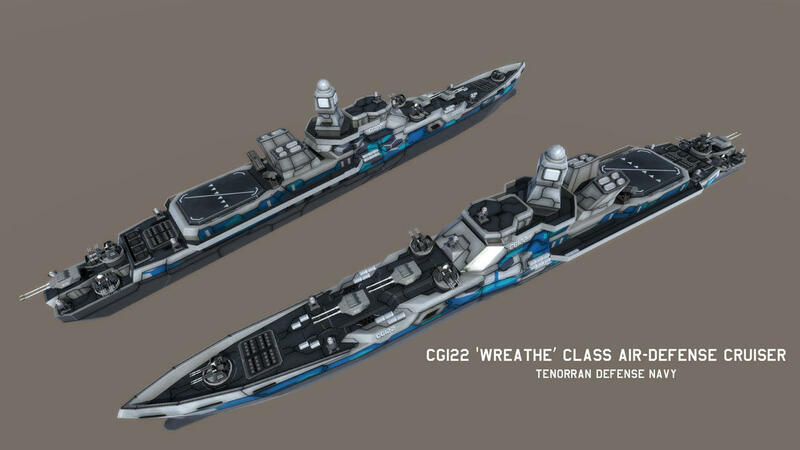 Rivaled only by the Rufetian Stalwart Dawn, the Gestalt's design focuses on a lower-profile, higher speed dreadnought capable of incredible long-range firepower and missile support, out-ranging most vessels at sea before they can get a fix on the ship's exact location. 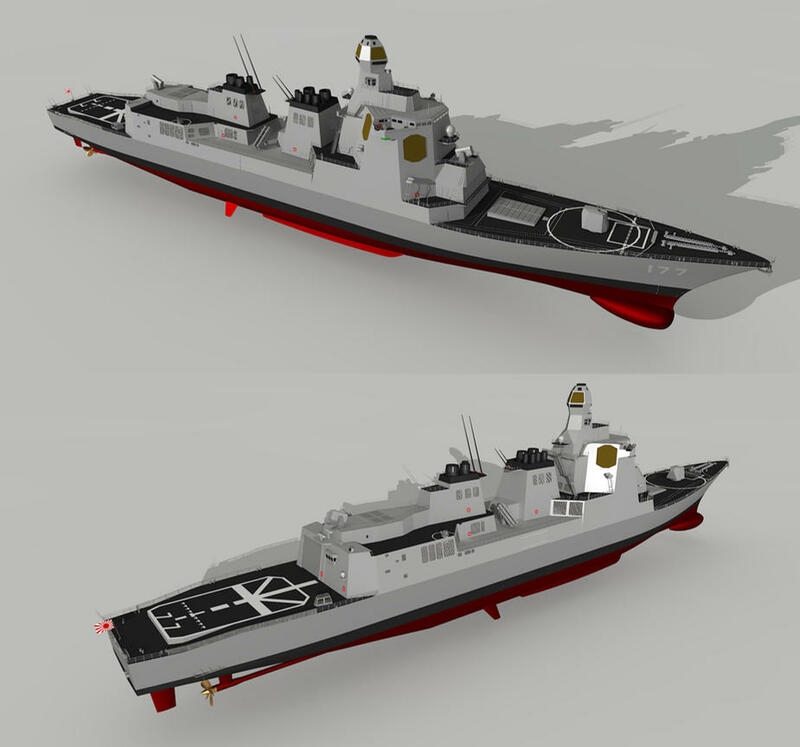 With spaced armor and reactive plating, alongside the plethora of active defenses at the ship's disposal, the vessel is difficult to sink, and can remain afloat with a number of breaches, thanks to redundant automated safety systems. 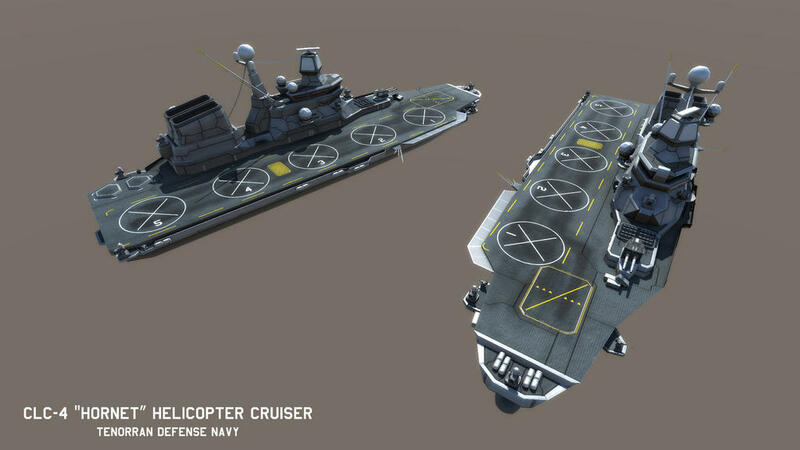 The 25" naval cannons are semi-automated, capable of self-correcting aim and auto-loading, reducing the minimum crew required to keep the ship functional in a battle. The large Obelisk-type directed energy weapon on the top of the vessel has a limited range, thanks to the curvature of the planet, but a direct hit can vaporize armoring more easily than a missile or cannon strike. 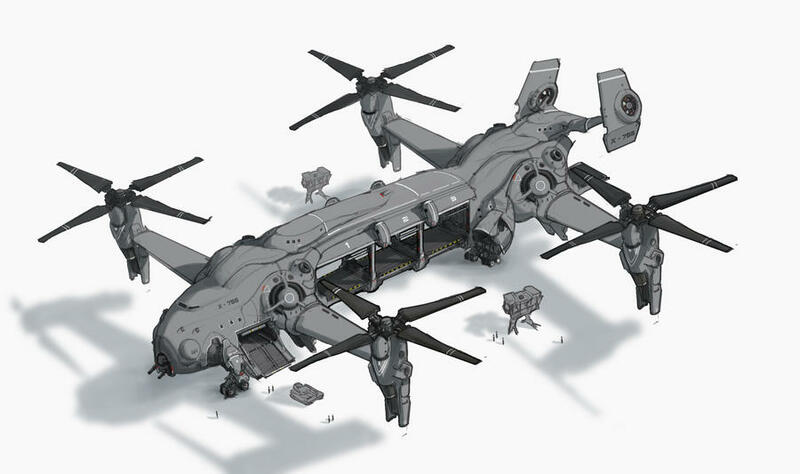 Furthermore, the ship carries a complement of VTOL and strike aircraft for defensive and offensive-support purposes, functioning as an all-in-one fleet. Currently, only one ship of this class has been constructed: BBCN-01 "Seraphic Legacy"